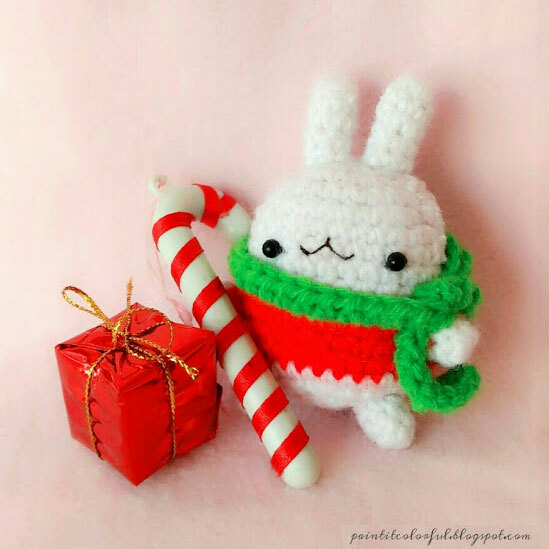 Christmas Amigurumi Crochet Patterns - Super Cute Kawaii!! Christmas preparations are now in full force! 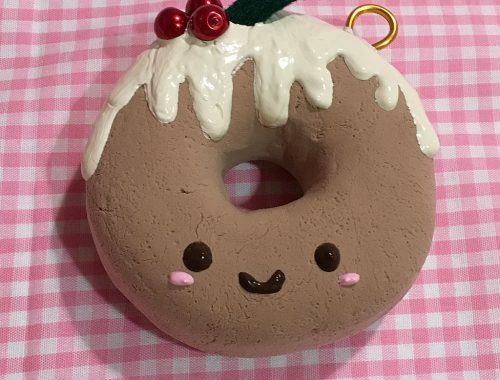 If you’re looking for gift ideas or to add to your décor, here’s another list of kawaii Christmas projects to keep you busy during the season, this time for amigurumi crochet. 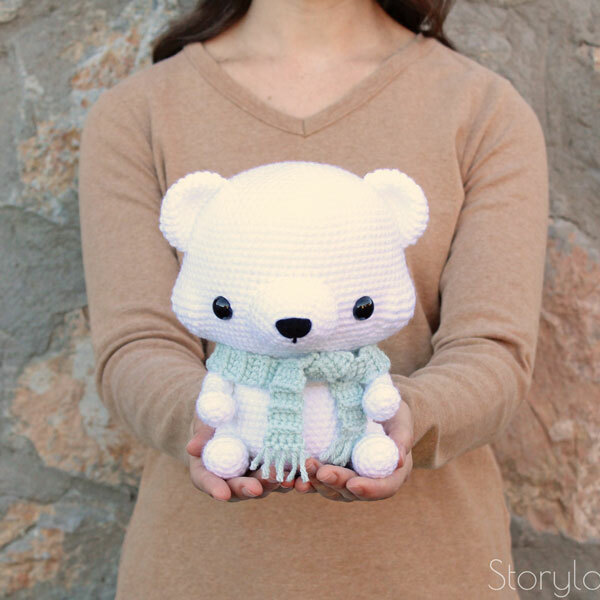 Storyland Amis has several cute Christmas patterns to offer, including my favorite Paddy the polar bear amigurumi. There’s also a Christmas bundle pack adding Gingerbread boy and girl, Penguin, Snowman and Reindeer, if you want to have options. 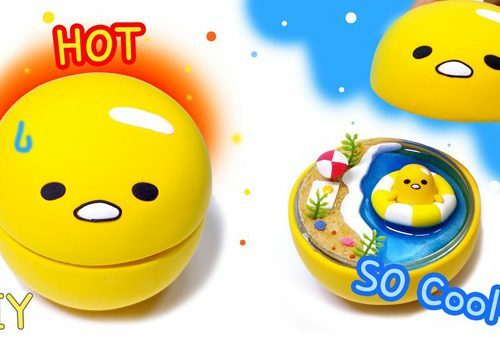 If you’d like a Christmas bunny, look no further than Paint It Colorful’s Christmas Molang pattern. 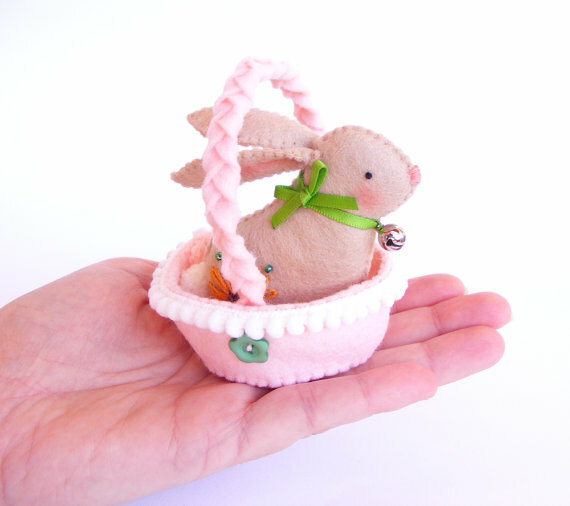 As mentioned in the post, it would make an adorable Christmas ornament with the simple addition of a string. 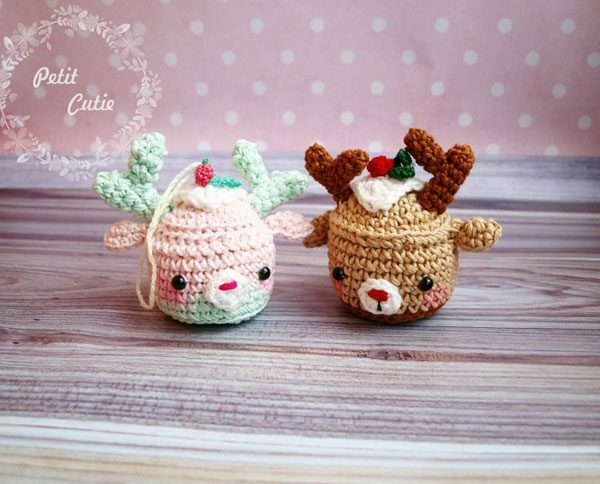 Amigurumi Today has a free reindeer cupcake pattern (by the talented PetitCutieShop) that would also make really cute ornaments, especially for a sweets-themed tree! 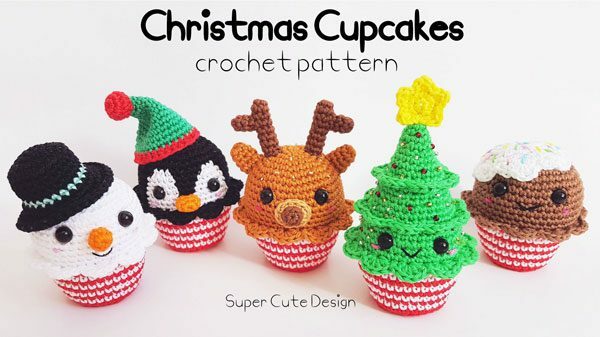 For even more Christmas cupcakes, SuperCuteDesignShop has a sweet cupcake pattern bundle consisting of 5 different patterns. I have virtually no crochet experience, but I still want to give them a try! 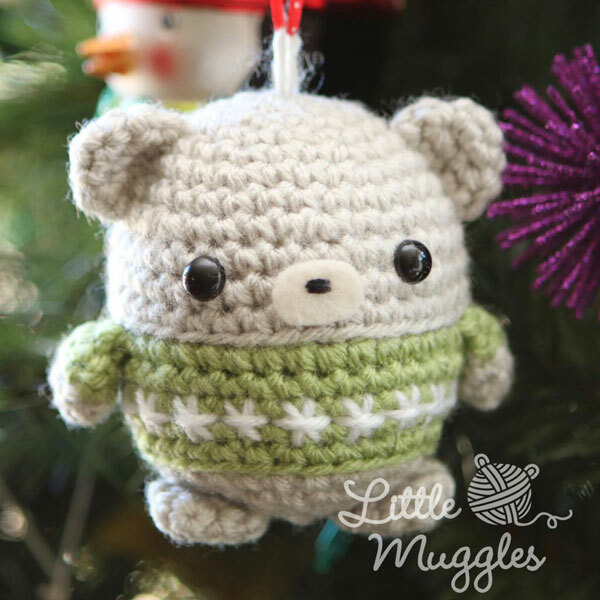 You can never have too many ornaments, so why not add Little Muggles’ baby bear ornament to your collection? It’s difficult to say no to a bear in a sweater. There’s lots more Christmas crafts in our archives and let us know if you try any. We’d love to see your holiday creations!